We all have our moments of anxiety —- a looming deadline, public speaking, or walking down a dark, unfamiliar street. These are all normal reactions to potentially risky situations. As a Feng Shui Consultant having worked in community mental health for many years, I am especially interested in how Feng Shui can help people with the most common of all mental health issues: a prolonged sense of anxiety. The faster everyone’s lives run, the less directly they communicate, the more technology they use, the more their nervous systems go into overdrive. Serious anxiety disorders are the number one diagnosed mental health condition in America. Anxiety and its accompanying physical and emotional symptoms comes from an imbalance of water and fire. A person with a deficiency in fire will tend to feel heart palpitations, cold hands/feet, insomnia, disturbed sleep, nervousness, circular thoughts, and/or lack of joy in life. A person with excess in water will feel extreme fear, feel like they are stuck or frozen, and will be isolated from people and activities they enjoy. 1) Add fire in its most gentle form for warmth, and 2) relax fear due to too much water. Start by focusing on two areas of the home – the Health (or center) area and their Bedroom. When giving options for adjustments, keep them to a minimum (2 for each area). Any more will only add to their anxiety. A yellow candle, red object, or red flowers to stimulate the heart, which is ruled by fire. A crystal in the center to balance the energy of the home and client. Light, especially a torchiere lamp, if the area is dimly lit. Art or a picture that depicts a warm, sunny place. A sturdy headboard for support. Limit electronics: TVs, cell phones, and computers are stimulating and heighten anxiety. If TV is a must, cover with fabric before sleep. Remove or cover mirrors for a more restful sleep. Mirrors can contribute to an excess of water. Working with someone over time, I’d take a layered approach, adding one or two adjustments at a time. 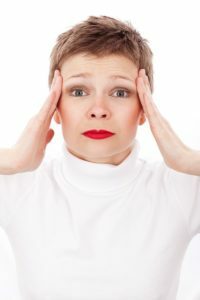 Prolonged and serious anxiety is challenging, yet the impact of introducing Feng Shui principles can be profound for those clients willing to take a step or two toward a more satisfying life. 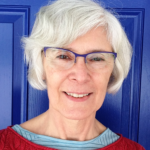 Sharon Witt is a Wind & Water School Certified Graduate and the owner of Sharon Witt Feng Shui.